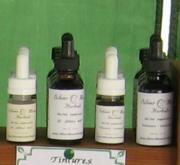 Tinctures are concentrated liquid herbal medicinal extracts made with organic alcohol. Organic alcohol is the most effective method of extracting medicine from herbs. 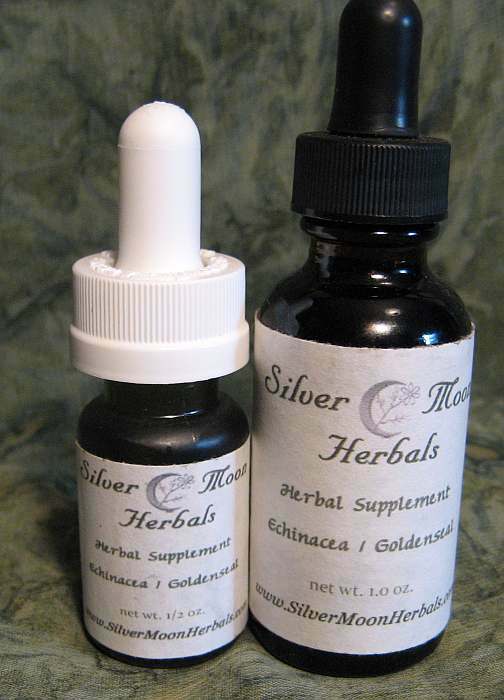 Taking the medicine in tincture form delivers it into our bodies more quickly and more precisely then any other method. Our bodies simply cannot fully absorb all of the medicinal properties in herbs by taking them in pill form. Tea's are good for when a more mild dose is recommended and for certain nourishing herbs that are more easily absorbed in water. 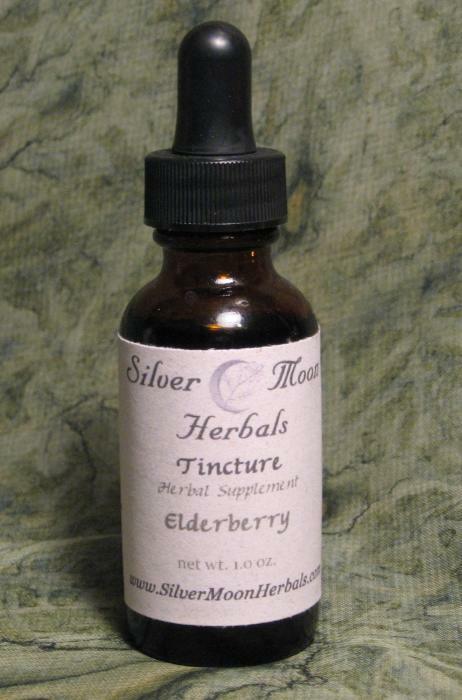 When strong medicine is needed a tincture is the best way to deliver it. Please Note: A dropperful of tincture contains less alcohol then a fully ripened banana. However if alcohol concerns you simply put your dose into a bit of steaming water or tea to burn off the remaining alcohol. Dosage range is based on average weight, use the lower amount for a small person, the higher for a larger person, somewhere in between for medium weight. 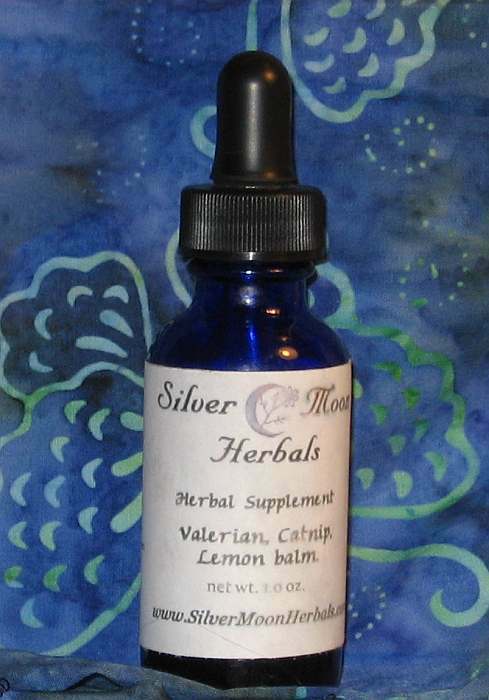 Check out the Learning center for more detailed medicinal properties of all our ingredients. * Please see our FDA required statement. Dosage: When symptomatic, adult 10-25 drops 4-5 times daily. Children 7-10 drops 2-3 times daily. As a preventative - 10 drops 2-3 times daily. Dosage: 10-20 drops 30 minutes prior to bed time. Take more as needed, not to exceed 40 drops. Viral infection (cold, flu) - 10-20 drops every 2 hours until symptoms decrease. Dosage: 20-40 drops 3x a day. Do not take for more then 2 weeks at a time. Topically use to clean and disinfect wounds. For bacterial infections such as staph infection, insect bites, snake bite, spider bite: 30-50 drops up to 5 times daily. Red raspberry leaf, motherwort, dong quai, kava kava, lobelia, red clover, black cohosh, uva ursi, ginko biloba, ginger. Cramps: 10 drops as needed. Menopause - 10-20 drops 2-3 times daily. Dosage: 30-60 drops Do not take prior to or after surgery due to blood thinning properties. Cramps: 15 drops every 20 minutes or as needed. High blood pressure: 25 drops 2-4 times a day. Menopause - 15-30 drops 2-3 times daily. Discontinue use if irregular menstrual bleeding occurs. Dosage: 10-40 drops 2-3 times daily. Colds: to prevent 5-10 drops daily. To treat 25-30 drops every 3-4 hours. 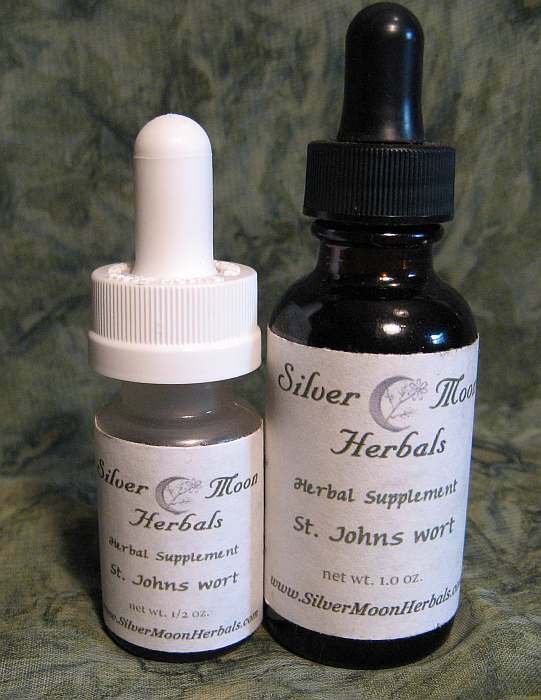 Fever: 25-30 drops of Yarrow tincture every four hours. * The FDA requires that we tell you that statements made pertaining to the properties or functions of nutritional supplements and herbal products have not been evaluated by the Food and Drug Administration. All information and products have been complied for general reference and educational purposes only, and is not intended as a means of diagnosing, treating, curing, or preventing any ailments in humans or animals.